I found this little corner of the Pearl District with interesting views in every direction. It's a quiet little space near the train station that I didn't know about. I thought the structure on top of this condo was interesting. Many of the buildings in the area have rooftop gardens. I'd love to do some drawing from up on one of these rooftops. Whenever I see an image of a tall building with a plane, I automatically get a weird feeling in my gut. 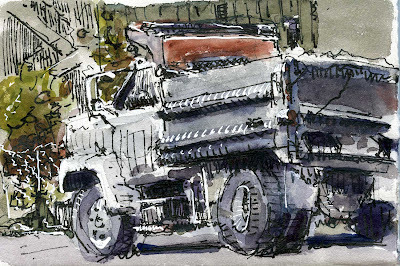 I tried to resist drawing this truck but I just couldn't do it. Awesome sketches! I love your work. Going through your sketchbook, page by page, must be a real treat. You're inspiring me to get out and sketch more. I think these are wonderful.You are able to take a condo building and make it interesting! As always,love your use of color. Hi Deb. Thanks for the kind words. 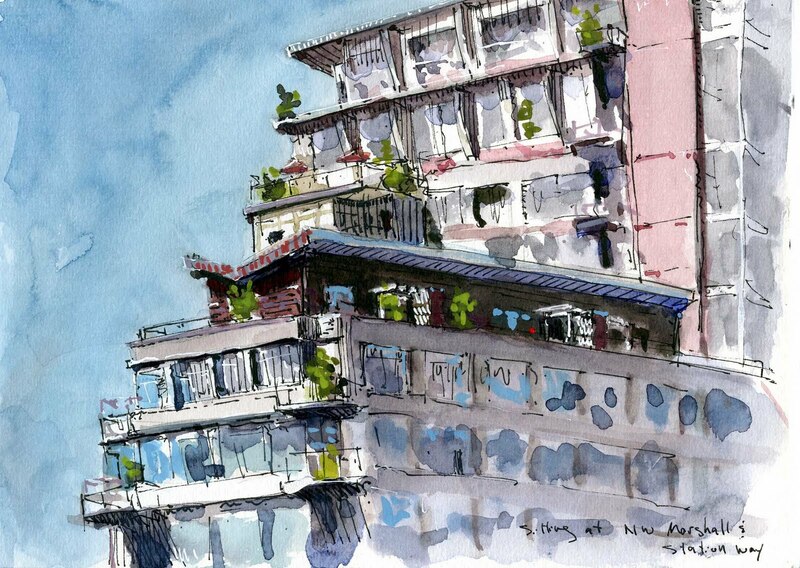 Sketching is good for you. Love the new sketches this week. Did you know there was a name for when you can't resist sketching trucks? 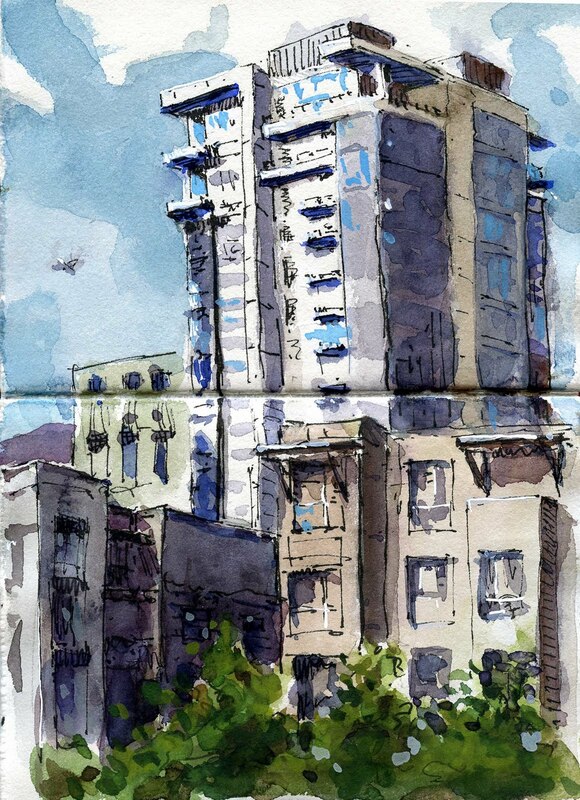 fantastic sketches- love the skyscraper. The first sketch looks a bit like a fantastic ocean liner--there is nothing static about a building to Bill Sharp! I know what you meant about the plane and the building. Especially in reference to the time of year. Great truck---three superb sketches! These are so great. The first one looks like it's in a really exotic location and your words about the truck cracked me up! thanks jana and celeste. I'm glad you like the work.